Seemingly out of nowhere you’ve developed a red, scaly rash. How many possible diagnoses could there be? 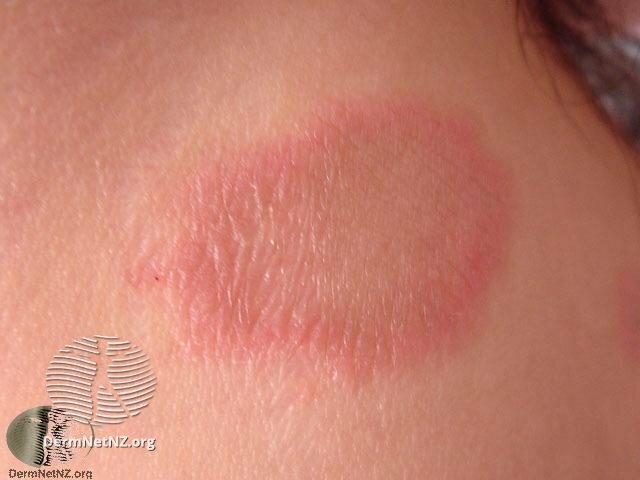 The cause of red, scaly rashes are one of the trickiest issues to diagnose. 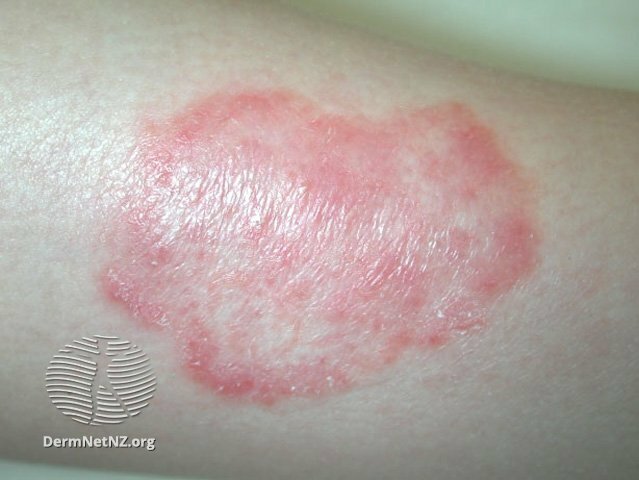 In fact, the red scaly rashes in the photos below look fairly similar, but are dramatically different diagnoses ranging from fungal infections to skin cancer. 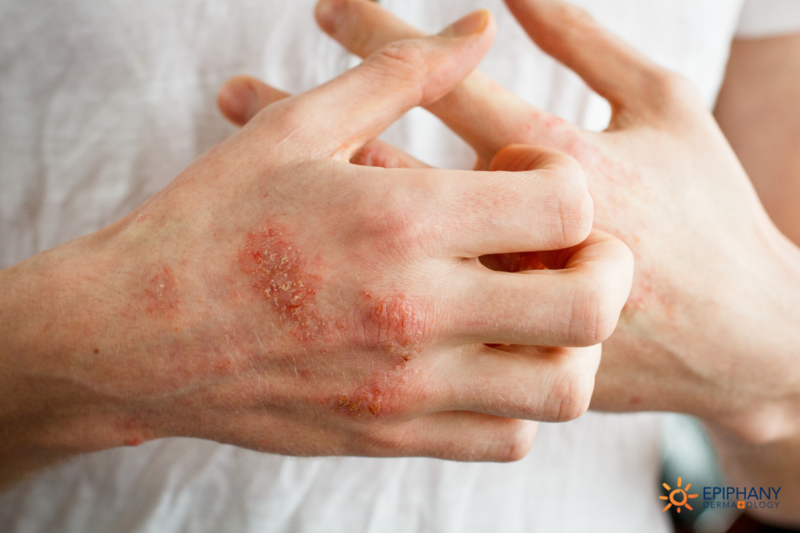 In our dermatology textbooks, it’s called papulosquamous disorder — and it’s a 200-page chapter about red, scaly rashes. It covers everything from ringworm to eczema to skin cancer to inflammatory conditions that we may only see once in our lifetime of practice. To the untrained eye, these conditions are difficult to distinguish. 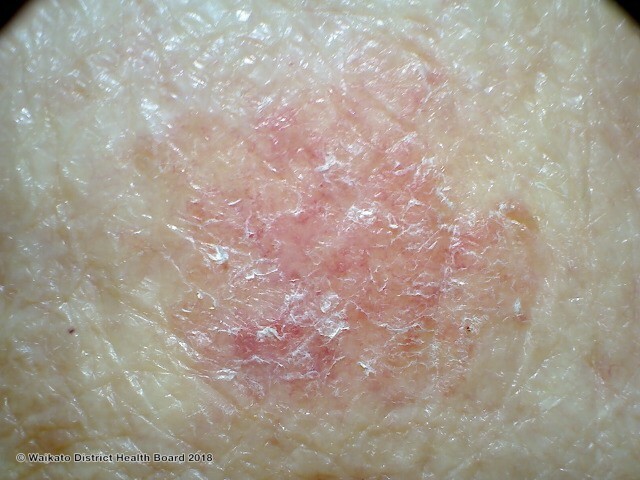 On your internet image search, what looks like psoriasis could actually be eczema. What looks like skin lymphoma could be another type of inflammatory condition. When you have a red, scaly rash, don’t risk a skin cancer misdiagnosis and assume your spot is a minor problem. The only way to really know what it is and how to treat it is to see a professional who can diagnosis it. If you have a rash, spot, or group of spots that stay red and scaly, it should be evaluated by a dermatologist. It’s especially important to see a professional if it’s in a sun-exposed area. The most common misinterpreted skin lesion I see is a pre-cancerous spot or skin cancer. If that’s the case, you need to stop treating it like eczema or ringworm and begin the appropriate treatment immediately. A skin cancer misdiagnosis can be detrimental to your treatment. If you have a cancerous — or precancerous— spot, we need to identify it and begin treatment, or removal, before the problem escalates. How do you know when to go to a dermatologist and when to wait it out? If you have a red scaly rash that persists for more than two weeks, go see your dermatologist. What if you visit another type of doctor instead? 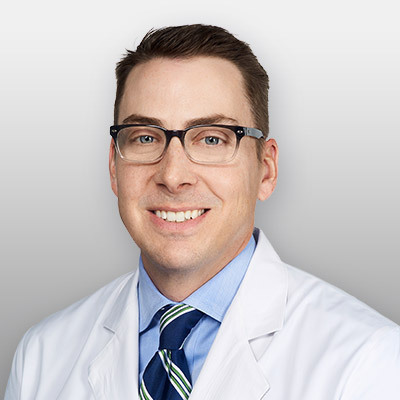 Your family practice, general practitioner, cardiologist, or emergency room doctor are skilled professionals and they are exactly who you need to see for general health concerns, blood pressure management, heart problems, and broken bones. However, they are not your best resource for a skin condition. They may have spent as little as a few days on a dermatology rotation as a medical student. As a result, their knowledge of skin rashes is limited. If you’re wondering when to go to a dermatologist, the answer is when you have any type of skin condition. A trained dermatologist specializes in differentiating between hard-to-diagnose skin conditions. We also have highly skilled physician’s assistants at dermatology offices. They work every day at the side of a dermatologist evaluating patients with skin conditions and developing an experienced eye for skin problems. Differences in skin conditions can be subtle and need to be evaluated by a specialist. If you have a skin lesion that isn’t disappearing on its own after two weeks, call your dermatologist. If you live close to an Epiphany Dermatology, you should be able to get an appointment within two weeks — usually sooner. We aim to see clients within a week of their call and sometimes can even fit you in a same-day appointment. What’s the bottom line? 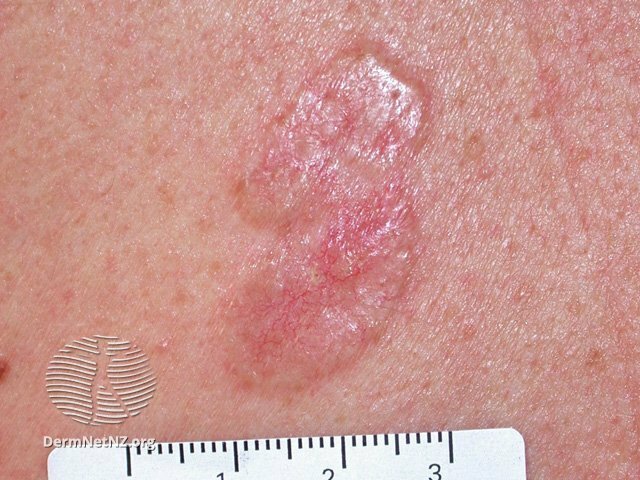 Red, scaly rashes are particularly difficult to diagnosis at home — if you’ve got one, call your dermatologist today.